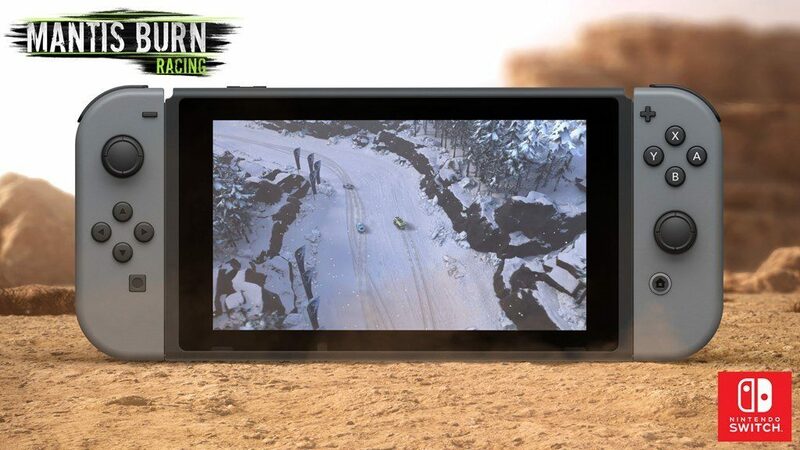 Racing game, Mantis Burn Racing is coming to the Nintendo Switch and the developers, VooFoo Studios has opened up a few interesting tidbits about the game. Talking to Nintendolife, VooFoo Studios explained why they brought the game to the Nintendo Switch. At what point was the decision made to bring Mantis Burn Racing to the Nintendo Switch? We want Mantis Burn Racing to be available to as many gamers as possible, on as many different consoles as possible, so we knew we wanted to bring it to the Nintendo Switch pretty much as soon as the console was announced. More importantly, it’s one of the most exciting consoles to be released in recent years with a unique feature set that is such a great fit for our top-down style racing game. Just like the Switch, Mantis Burn Racing is built around multiplayer and social play. For that reason we believe our game will really appeal to Switch owners looking for a fun racing challenge, whether playing on their own or against friends. Being a Switch game, VooFoo Studios also brought a few touches to the Nintendo Switch to better utilise the system’s unique features. In terms of the local multiplayer, can you break down how many players are supported in each option? Does this support single Joy-Con play? It does. Controls have been re-mapped to match standard controls as closely as possible. Mantis Burn Racing supports HD Rumble and there are noticeable improvements over standard, it really adds to the racing experience. It’s widely agreed in the VooFoo office that Switch rumble is by far and away the best haptic feedback of any console. The interview also covered a multitude of other information such as the working relation with Nintendo and so on. If you are interested, you can read the full interview here.